Life has been busy lately. December is my busiest month indeed. So, this will be a very short update. I have lots of stories to tell and I will try my best to share them here in my online sanctuary in the next few days. Last Saturday, December 9, I got a sweet surprise during the Thanksgiving Worship Services for the young members of Iglesia Ni Cristo. Thea performed (twice) in the Choir in the said special gathering. After the first worship service, an Awarding Ceremony was conducted to honor the most active child (Pinakamasiglang Bata) and most active officer (Pinakamasiglang Maytungkulin). Thea is one of the awardees. We are so happy and proud of her achievement. Despite being in a challenging puberty stage now, she still managed to prioritize her Church duties and obligations. She wakes up early whenever they have rehearsal and performance. She knows pretty well that her duties come first over extra-curricular activities like contests, weekend school events, etc. 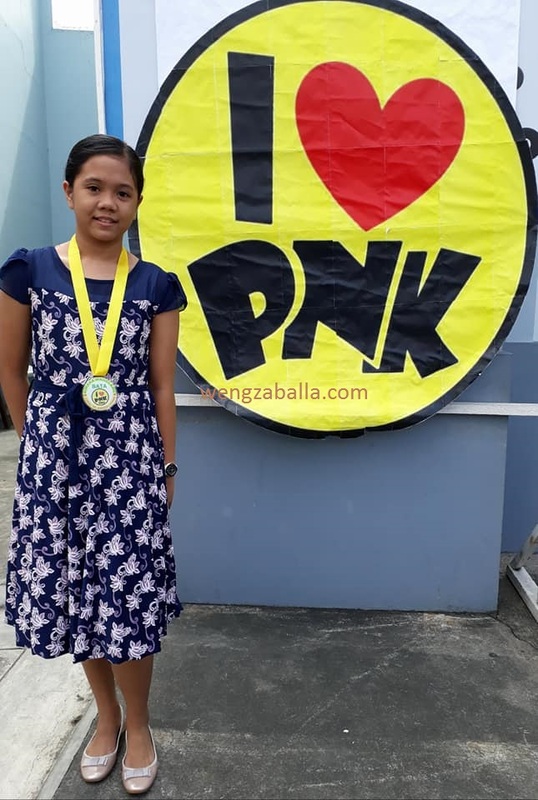 She's been regularly attending the Pagsamba ng Kabataan (Children's Worship Services) since she was 4 and a chorister since 6 years old. Congratulations, Ate Thea. To God be the Glory!